The curators of the show “Panorama 3” asked Hannes Egger to try to think of anohter role for the act of teaching, sarting with a violation that clashes with the very etymology of the word. Attention will then shift from the focus of education to the focus of liberation and experience. The ambition is for the gesture to be free in the body and the mind, and for the works to be able to live autsiede of themselfe. Hannes Egger envolved an action transforming the bodies of visitors into part of the exhibition, turning them into the central theme. Participation in the movement sequences transforms them into active, living sculptures, leaving behind the classic position of the passive audience. 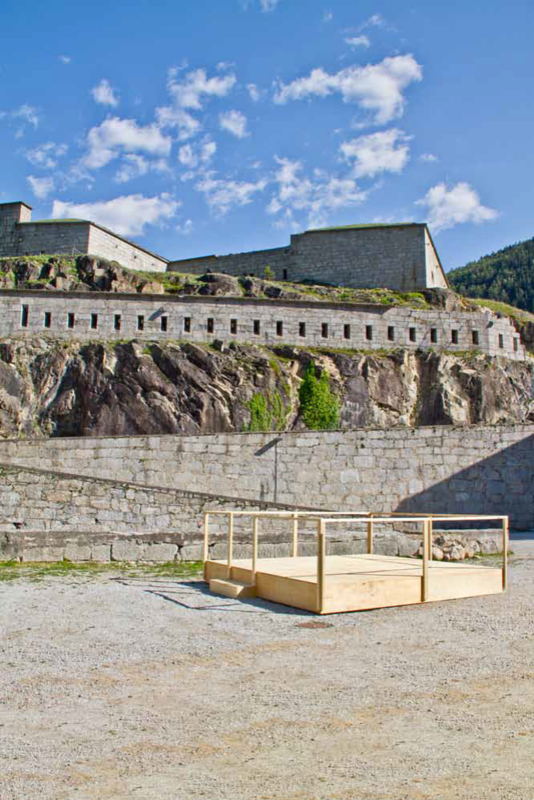 Perform yourself reacts to the military spatial structure of the Franzensfeste fortress and contrasts it with a moment of celebration, dance, exuberance. There are instructions for its use as a way of phisically confronting individual works of art and space.